Blitz writes in a conversational style that even a novice investor can understand. Believe me, his ideas and strategies will set you on the road to becoming a millionaire! "-John Slatter, CFA, author of The 100 Best Stocks You Can Buy. If you're one of America's 78 million baby boomers, you've seen the Doomsday headlines, warning you that you're not saving enough to retire. Are you really headed for poverty in your retirement? Expert author Dennis Blitz says no. 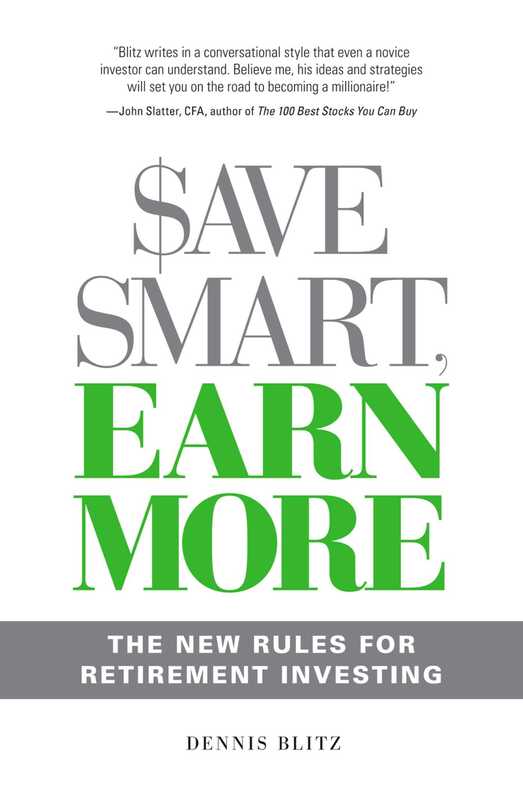 You may be saving enough-but you may not be saving smart enough. But you don't have to scrimp and sacrifice to save more. Instead, you need to know the most effective ways to get a better return on your investment-what really counts in wealth creation. From this book you will learn: The Nine Rules of Smart Investors; A theory to help investors measure risk; The right way to diversify; How to determine a good value stock. With the help of Save Smart, Earn More, you can retire in comfort and security-no matter what your current financial situation.